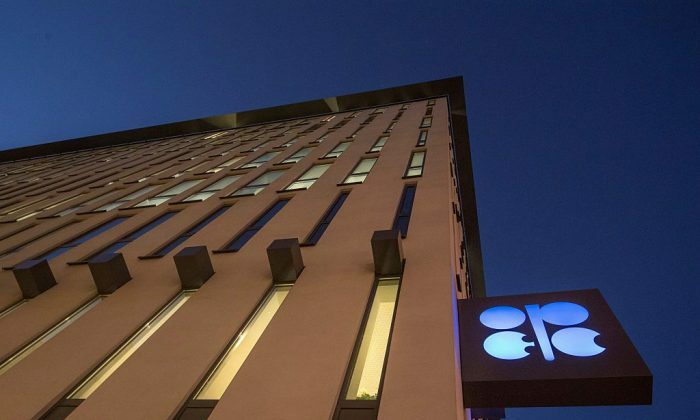 OPEC and its allies continued to haggle over the size of potential crude-production cuts in Vienna on Dec. 5 as U.S. President Donald Trump urged the group to keep the taps open and prices down. With just a day to go before a critical OPEC summit, most producers made clear they agree on the need for a cut in oil production, without explaining how they’ll turn that desire into a reality. Preparatory talks between Saudi Arabia and Russia Dec. 5 yielded no breakthrough, putting pressure on both to push for a deal at a wider meeting later in the day. In an interview, Dec. 4, Saudi Energy Minister Khalid Al-Falih said it was “premature” to suggest the OPEC+ group—which includes allies Russia and Kazakhstan—would agree to curtail output. That’s less bullish than his call a month ago for 1 million barrels a day of cuts. Crude gave up much of its gains on Tuesday following his comments, and fell on Dec. 5. Russian Energy Minister Alexander Novak said his discussion with Al-Falih early on Dec. 5 was “good,” but added there’d be more talks ahead for OPEC+ members. Al-Falih subsequently met Gulf producers including Kuwait, Iraq, the United Arab Emirates, and Oman as he worked to reach a consensus. “I think we will get a deal,” said Mohammed Al Rumhy, oil minister of non-OPEC member Oman, adding that Venezuela, Nigeria, Libya, and Iran need to be exempted from making any cuts. Iran is currently subject to U.S. sanctions and as such won’t participate in any curbs, the country’s OPEC governor Hossein Kazempour Ardebili said this week. U.S. special representative for Iran Brian Hook met with Al-Falih in Vienna on Dec. 5, according to a person familiar with the matter. The opportunity for countries to put their cards on the table comes later Dec. 5 at the Joint Ministerial Monitoring Committee, the panel that oversees the 2016 deal. Both Al-Falih and Novak will attend that meeting, a day ahead of the full OPEC gathering on Dec 6. Trump also plays an important role. He’s waged a Twitter campaign against OPEC, demanding producers keep pumping to bring down gasoline prices for U.S. consumers. Saudi policymakers may be reluctant to go against him after the murder of Jamal Khashoggi unleashed a fusillade of criticism from American lawmakers, leaving the president as one of Prince Mohammed’s few remaining allies in Washington. United Arab Emirates Energy Minister Suhail Al Mazrouei told reporters in Vienna on Dec. 4 that he’s optimistic all countries will join in the OPEC+ agreement.